The Plymouth Pride Parade departs from the Jigsaw Garden (Nr Drakes Circus and the Central Methodist Hall) at midday On Saturday 5th August. The main event on Plymouth Hoe will officially open at 1pm with over eight hours of FREE LIVE entertainment from the main stage. 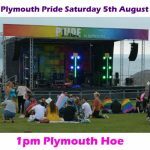 Don’t forget we also have Dancing on the Hoe with Plymouth Salsa and new for 2017 – our first Pride Dog Show. 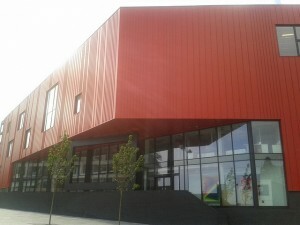 There will be a massive range of stalls including food and of course the licensed Pride Bar. Visit the Plymouth Pride Festival Page for more information about the event and supporting events.